In this age of polarization, it is important to be able to talk with spouses, neighbors, and acquaintances about issues where you may not agree. This workshop will provide the tools to have those discussions. These skills are often not intuitive, but they can be learned. The result will be more civil discussions of issues important to us all and more informed decisions. Note: this workshop is not about issues. It is about acquiring the tools to discuss those issues. The workshop is free, non-political and open to everyone. Send me an email to say you’re coming, so I know how many cookies to make. The RCDC Hyway Kleenup Krew went to work one beautiful March 2019 Saturday Spring morning and bagged TWO TRUCKFULLS of trash along 211 from Massie’s Corner to the Library! Rapp Dems clean up! Doors open at 9:30 a.m. for coffee, snacks, and conversation. The meeting starts at 10 a.m.
Saturday, March 30, at noon near Culpeper – Laura Galante will attend the Culpeper Persisters Happy Hour Huddle at the Old House Brewery (behind the Winery), near Culpeper. No RSVP needed. 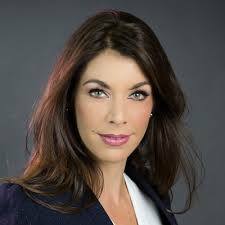 Tuesday, April 2, 11:00AM-1:00PM – Coffee with Laura Galante -Join Laura for a cup of coffee and discussions at the Skyward Cafe, 650 Zachery Taylor Hwy Flint Hill, VA. Open to all and Laura buys the coffee. 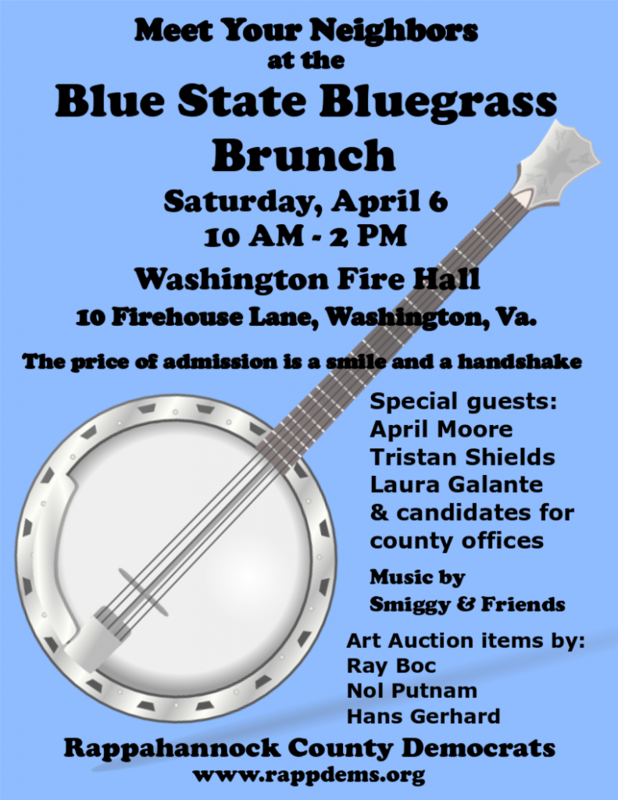 Saturday, April 6, 10AM-2PM in Little Washington – Laura Galante will be speaking at the Blue State Bluegrass Brunch and Fundraiser at the Washington Firehouse, 10 Firehouse Ln, Washington, VA 22747. 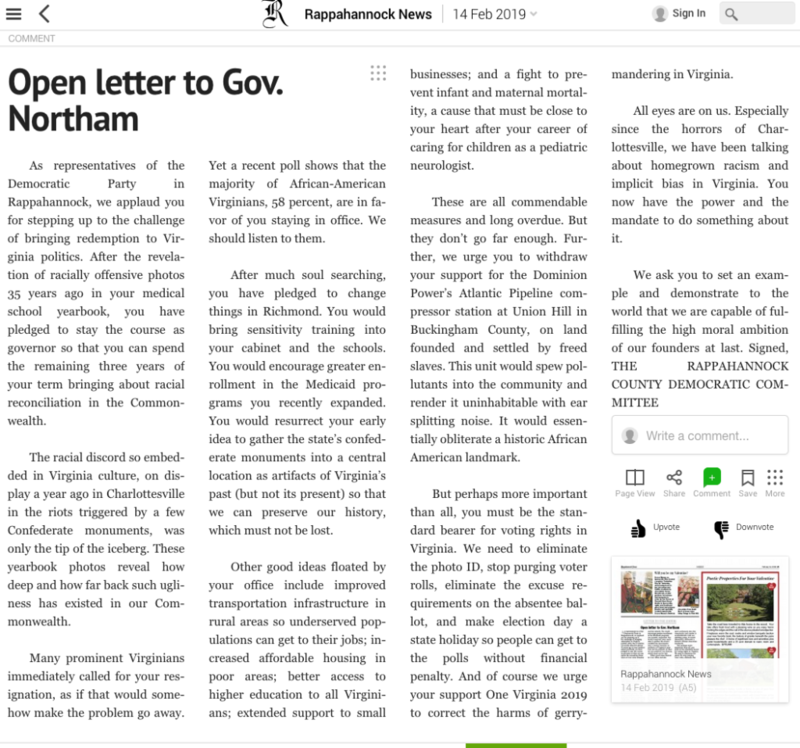 For further details, check with the Rappahannock County Democratic Committee. 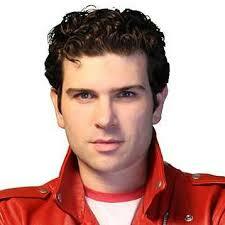 Please be patient as it transforms. Up-to-date information will be available soon. Meanwhile, check us out (The Rappahannock County Democrats) on Facebook. Recent events in Richmond have left our heads spinning. 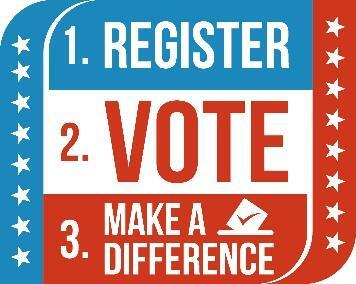 In one week, the top three elected officials, the Democratic Governor, Lt. Governor and Attorney General, were under attack for shocking moral failures that jeopardize their positions, the state of the Commonwealth and the whole Democratic agenda. Information came fast and furious, and so did reactions from leaders across the Commonwealth and the country, who demanded their resignations. The RCDC decided to take a more deliberate approach. At our February 9 general meeting, we held a discussion, weighed the issues and took a vote. It helped to clear our thinking. The result was an open letter to the Governor to encourage a positive way forward toward redemption for racial equity for all Virginians. We encourage Governor Ralph Northam to take the lead. 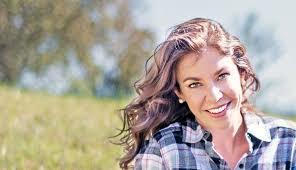 Learn about Laura and her plans to improve our rural economy, strengthen our community and embrace smart technology. Chat with Laura about issues critical to you, Rappahannock County, the 18th District and Virginia. Please join us! To RSVP, email cpzimmerman@verizon.net or enroll via Laura’s Facebook page – Laura Galante for Delegate.